Chandi Mandir or Goddress Chandi Temple is one of the oldest temple in Jajpur District. This temple is situated very near to Chandikhole and very close to the famous Mahavinayak Temple of Jajpur. Here you can feel a nature’s silence and the beauty of Nature. This place is a very good and beautiful picnic spot in Jajpur and you will get all the facilities and a memorable picnic at this place. 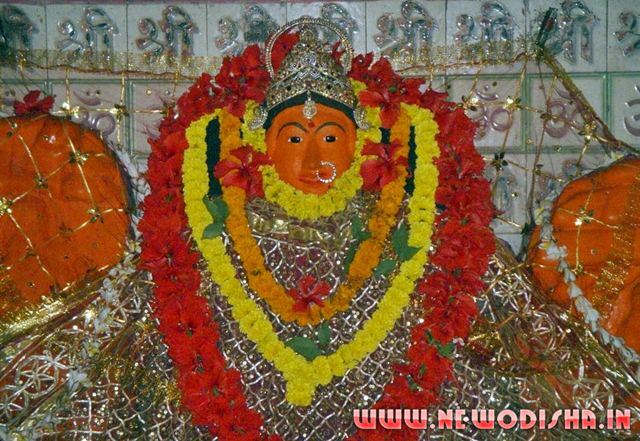 Goddress Chandi is the main deity of this temple and for her name the name of this area is named as Chandikhole. So Goddess Chandi is the presiding deity of Chandikhol. This place has all the charm of an ideal picnic spot on the top of thickly wooded hill. The shady trees, the gurgling perennial streams and the sprawling Ashram of Baba Bhairabananda draws many visitors daily. This place is full of monkeys. You can also give foods to the monkeys, but beware of them. See below to Know how to Reach the Chandi Mandir or Goddress Chandi Temple of Chandikhole. As this place is connected with well road systems, so you can reach this place through any media. But hiring a taxi from Chandikhole market will be very good which will be very cheaper and the distance from Chandikhole Market to Chandi Mandir is just 5kms. Give Responses for "Chandi Mandir of Jajpur"